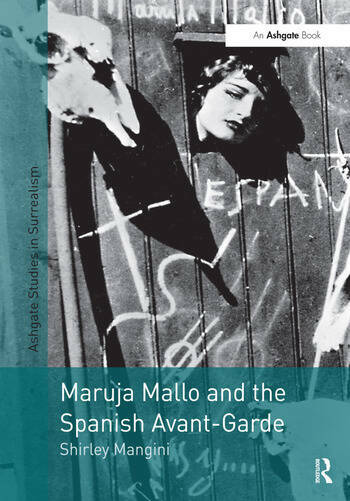 The first book in English on Maruja Mallo, this volume is an insightful examination of the life and work of this seminal artist of the Spanish avant-garde. Previously sidelined by a culture that treated women as "insider-outsiders" and by her own mythmaking, Mallo no longer can be viewed as simply a muse to famous counterparts such as Salvador DalÃ­ and Federico GarcÃ­a Lorca; her role has been re-contextualized to demonstrate that she was a driving force in the flowering of Spanish culture through the 1920s and 1930s. The analysis of Mallo's unique life and extraordinary art is set against the complicated social and political backdrop of interwar Madrid. This book highlights the struggle of Mallo and other women artists against the rampant misogyny of both Spanish culture and the avant-garde community of the time. The effects of the Spanish Civil War are also analyzed-in Mallo's case, Franco's victory forced her into exile in South America for almost 30 years, with profound effects on her art and her life. Added to this rich context, the author's numerous interviews with members of the Mallo family provide essential new background material. Maruja Mallo and the Spanish Avant-Garde recasts this artist as a vital figure in the heretofore all-male establishment of the Spanish artistic vanguard. Contents: Introduction; Mallo's early years; Mallo's rise to fame; Surrealism in Madrid; The 1930s: from surrealism to humanism; Mallo's exile in Argentina; Mallo's return to Spain; Bibliography; Index. Shirley Mangini is Professor Emerita of Spanish at California State University, Long Beach. She has also taught at Yale, Stanford and the University of New Mexico. Her books include Memories of Resistance: Women's Voices from the Spanish Civil War (1995) and Las modernas de Madrid (2001).